From start to finish, let Cadence help you with your product every step of the way. 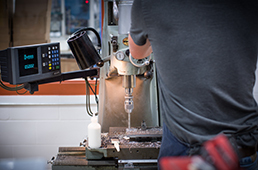 Our core team of tooling experts can provide prototype parts in the early stages of product design for many applications, as well as fully integrated tool design and build capabilities for all of your stamping and molding needs. Cadence's engineering team is also able to provide full automation design and development capabilities to get your product into production as quickly as possible. Our state-of-the-art technologies, combined with our team of seasoned experts, is sure to help produce the advanced tooling and automated solutions you require to meet your product demands. We offer extensive tool design and build capabilities at several of our facilities. Contact us today for all of your tooling and automation needs!